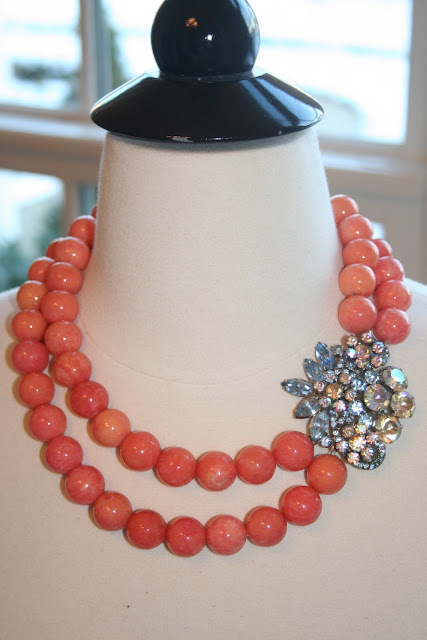 I am always going to hold the color Aqua near and dear to my heart, however, I am loving the color coral these days. Maybe because it is one of those colors that is bright and cheery, and reminds me of Spring, which seems so far away at the moment. 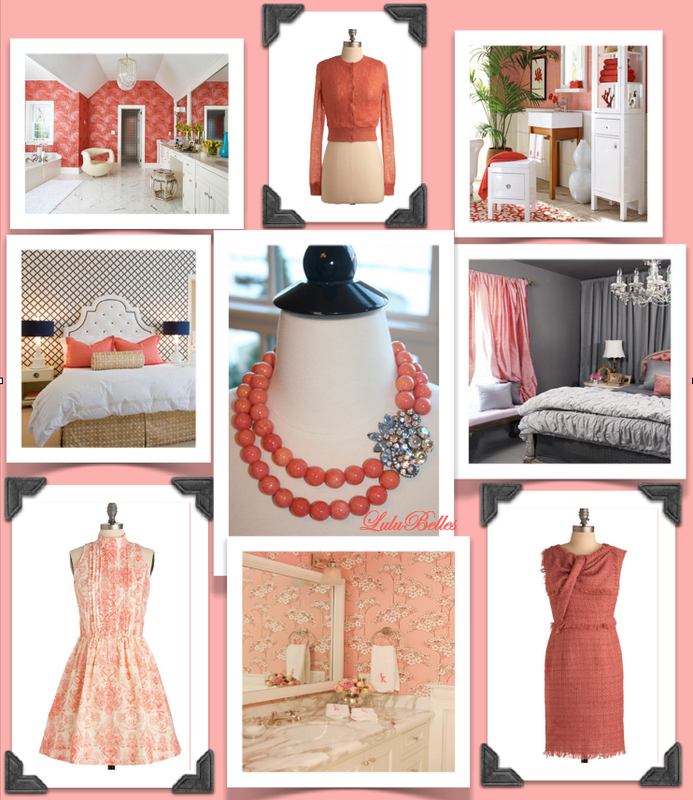 Coral can add a punch of life to your home or your wardrobe. Here are a few of my favorite ways to use coral. 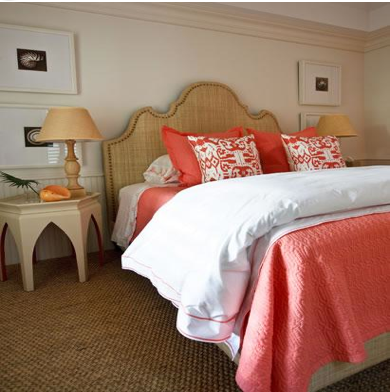 How fun to add some coral pillows to your bed. It adds that unexpected splash of color. 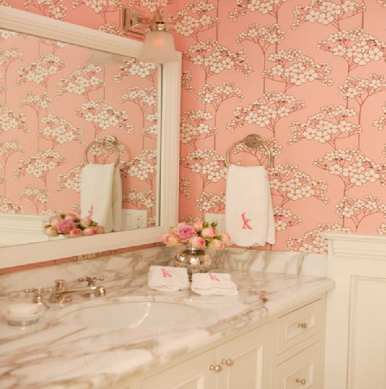 Also think about using coral in a bathroom, to give an updated look to it. 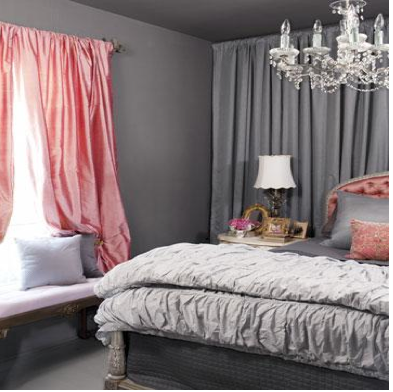 You can use wallpaper, paint the walls a beautiful shade of coral, or just simply add some fun accessories. Love the coral colors with the white cabinets, it really looks clean and crisp. Now time to accessorize with some coral in your wardrobe:) This color helps your cheeks look pink, and gives you a beautiful glow! 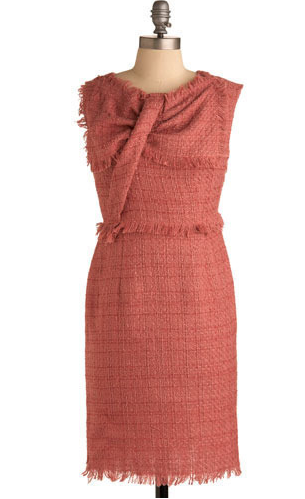 Love this dress with a wide belt and a cardigan. I think it would look great with some cute flats. 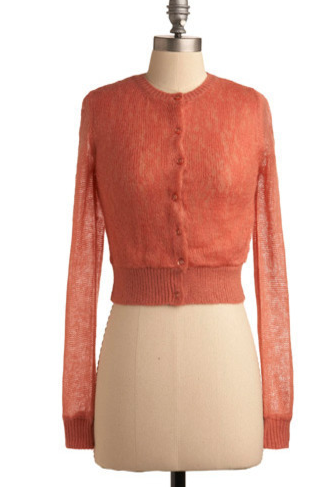 Another great find from modcloth is this coral sweater. 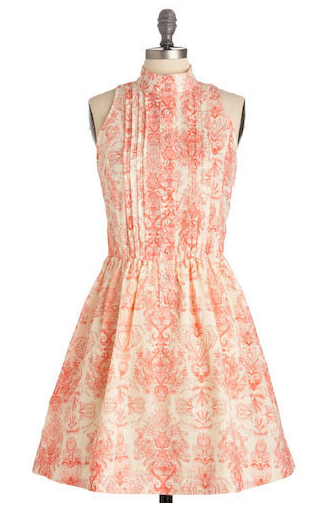 It has a pretty lace detail on the back, super sweet. Love the flattering cut on this dress. I also think it would look great with a belt and a big cuff bracelet. And if this cold winter weather has got you yearning for spring, then check out some of the new items that Natalie and I have been working on at Lulubelles.com We did some antiquing over the holidays, and are currently working on some new spring one of a kind pieces. So Happy New Year to everyone, may it be your best year yet! Hope you decide to give coral a try, whether it be in your nest or your wardrobe. It may just turn into your new favorite color :).